To say that Tottenham’s season has been a rollercoaster is an understatement on par with describing Brexit as a tad problematic, and (like Brexit) still it continues. Off the back of a disastrous week during which, minus the services of Harry Kane, Dele Alli and Son Heung-min, they crashed out of both the Carabao and FA Cups, they have somehow managed to haul themselves back into the title race. While the gap to leaders Liverpool remains substantial at seven points, they now find themselves just a mere two points behind Man City. A crazy round of midweek games that saw Tottenham come from behind to beat Watford at Wembley, also saw the Reds of Merseyside drop two valuable points at home to Leicester, while the evening before, Newcastle staged a remarkable comeback to beat Man City 2-1. The culmination was that, out of adversity, Spurs are back in the hunt. All of which makes for a fascinating encounter on Saturday as Rafa Benitez’s Toon Army flock to the capital hoping to see their team build on that adrenaline-pumping win over Guardiola’s men at St James’ Park – a win that took them five points clear of the drop zone. Get the best odds for Tottenham v Newcastle and our other featured games with our selected bookmakers below. Tottenham’s cause has been helped by the return of Son Heung-min, and it was him who pulled his side level in midweek just ten minutes from time after they had fallen behind early on against Watford due to an uncharacteristic error from Hugo Lloris. Son’s timely equaliser changed the complexion of the game, but it was no more than Spurs deserved after a much-improved second-half. 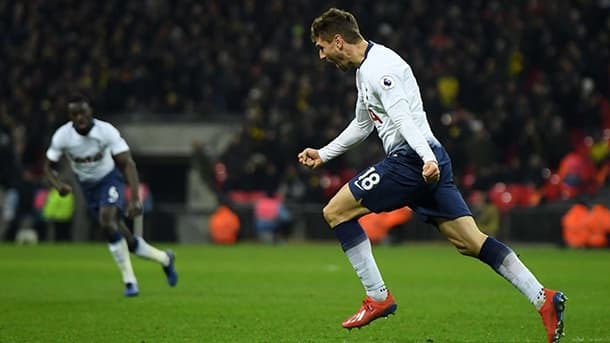 The Spurs winner – from the head of the much-maligned Fernando Llorente – was also no more than they deserved and will act as a timely lift to the mood in their part of north London and sets Saturday’s game up nicely. After surrendering most of the possession to Man City in the week, it was Benitez’s cautious strategy that ultimately paid dividends as Newcastle hit back to win with a Matt Ritchie penalty and a poacher’s effort from Salomon Rondon – so they’ll arrive at Wembley full of confidence. It remains a tricky one to call, despite the bookies having Spurs as big odds-on favourites, because minus Kane and Alli, the Lillywhites are simply not the potent force they are with them in the side. The sticky spell without them and Son was sticky for a reason, and Pochettino will know that they cannot always rely on late heroics. So, contrary to popular opinion, we think the Toon have a chance of taking something back to the North-East, especially given Spurs’ unhealthy knack of giving away daft goals, and so we’re going for a tight, nervy 1-1 17/2 9.50 +850 8.50 8.50 -0.12 with Bet365, with Salomon Rondon being first goalscorer 21/2 11.50 +1050 10.50 10.50 -0.10 with 888sport. Both teams featured in surprise results in midweek, with Leicester taking a hard-earned but deserved point from their trip to Merseyside, while Manchester Utd left it late to come back from 2-0 down to earn a point at Old Trafford against a resurgent Burnley. The Foxes, in the white heat of Anfield, gave as good as they got and while they had to withstand a late barrage to claim the draw, for the majority of the 90+ minutes there was little to choose between the two teams. This was a particularly impressive achievement when you consider they fell behind as early as the third minute, when Sadio Mane gave the Reds an early lead. The Leicester response was that of a side with belief and even before Harry Maguire coolly levelled on the stroke of half-time, they had created a few chances – most notably a close-range header from James Maddison that he somehow managed to screw wide. On the basis of all of the above, the visit of United will hold no fears for the Foxes who, despite all the recent criticism of manager Claude Puel, look to be in decent nick and who will see this one as an opportunity rather than a threat. 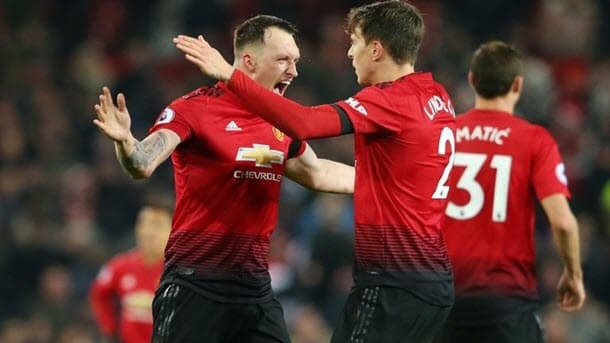 United, meanwhile, will be stung by the Burnley result – a win would have made it nine wins from nine since the arrival of Ole Gunnar Solkjaer – but equally will take heart from their ability to dig out a result even when things appeared to be going against them. Chris Wood scored Burnley’s second in the 81st minute and it’s no exaggeration to say that at that stage few would have given Mourinho’s United a prayer of getting back in the game. This Solkjaer version of United is made of stern stuff though and it was no real surprise to see them dig deep and conjure up a point when all appeared lost. This is a squad of extremely talented players and all the Norwegian has done is to release the shackles and ask them to enjoy their football again. And it’s working. So, while Leicester will be organised and confident, quite rightly, we do think that United will just have enough to squeeze home by the odd goal – possibly from a close 2-1 8/1 9.00 +800 8.00 8.00 -0.13 with BetVictor – but we have a hunch that, after impressing at Anfield, Jamie Vardy will get on the scoresheet 15/8 2.88 +188 1.88 1.88 -0.53 with Bet365. Given the events of midweek, this will be an interesting one. Pep Guardiola will be stung by the defeat on Tyneside and it was only Leicester picking up a point at Anfield that prevented the Reds opening up an unassailable-looking seven-point gap. As it transpired, the gap is at a more manageable five but, with Tottenham now breathing down City’s neck, the Citizens can ill afford to slip up again and a visit from a talented but unpredictable Arsenal side is probably not the fixture Guardiola would have chosen. But City simply have to find the grove they’ve been in for most of the season – with Sergio Aguero and Gabriel Jesus ripping defences apart with their pace and movement and Kevin de Bruyne and David Silva prompting and probing from midfield – and if they can do this, as Guardiola will demand, we can see them having too much for the Gunners. Equally, City’s back-four has been a little hesitant of late, so we expect Pierre-Emerick Aubameyang to cause them one or two problems, but probably not enough for his side to win the game. We can see City bouncing back in style and so are going for a 3-0 home win 10/1 11.00 +1000 10.00 10.00 -0.10 with Bet365 with Gabriel Jesus bagging a brace 11/4 3.75 +275 2.75 2.75 -0.36 with Bet365.